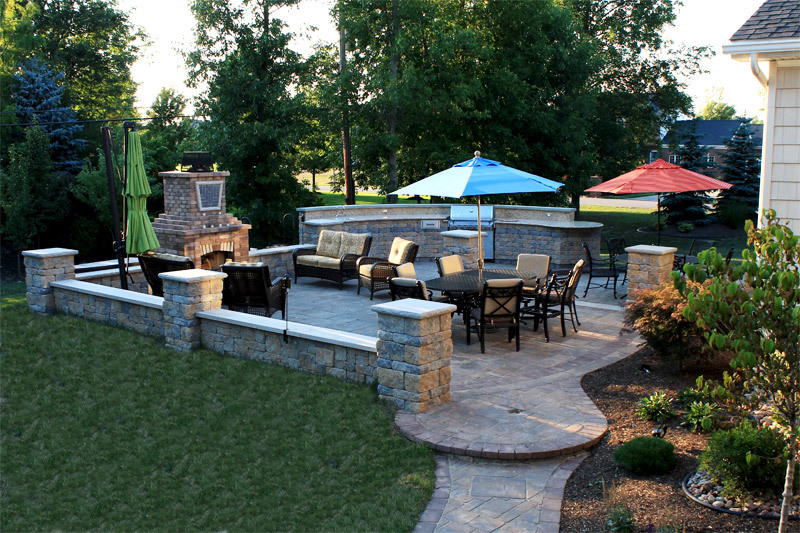 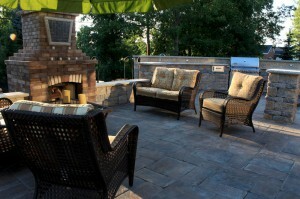 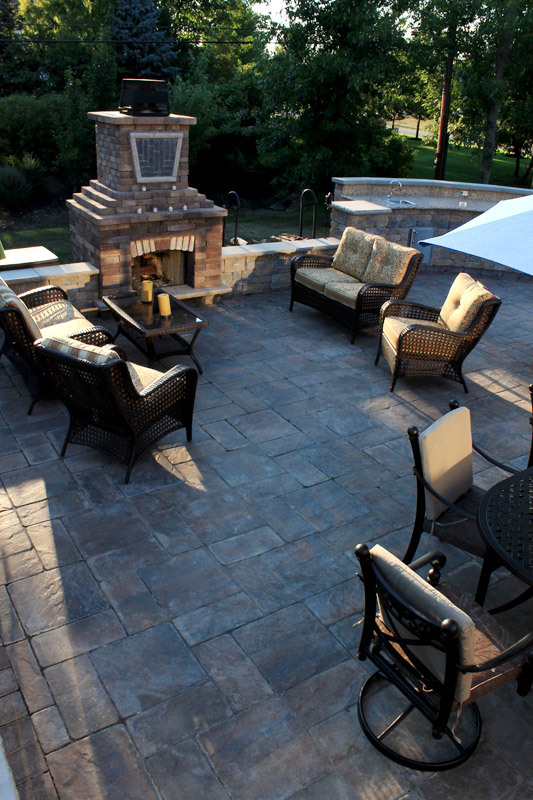 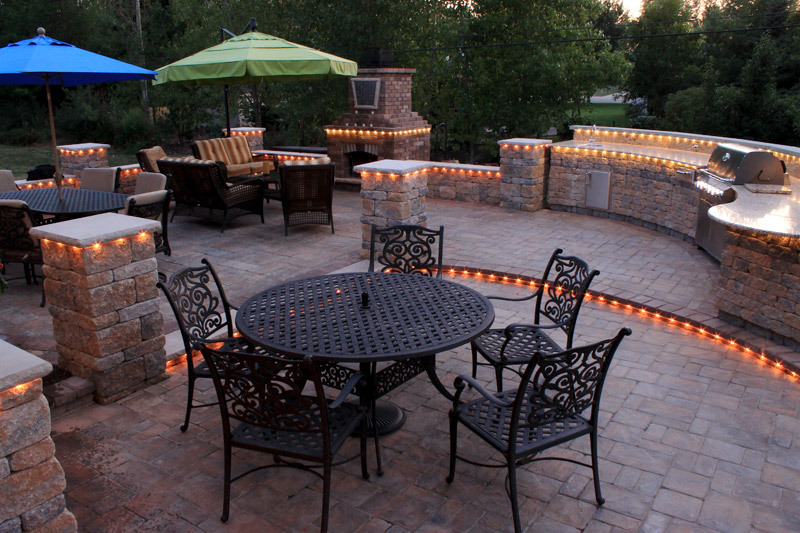 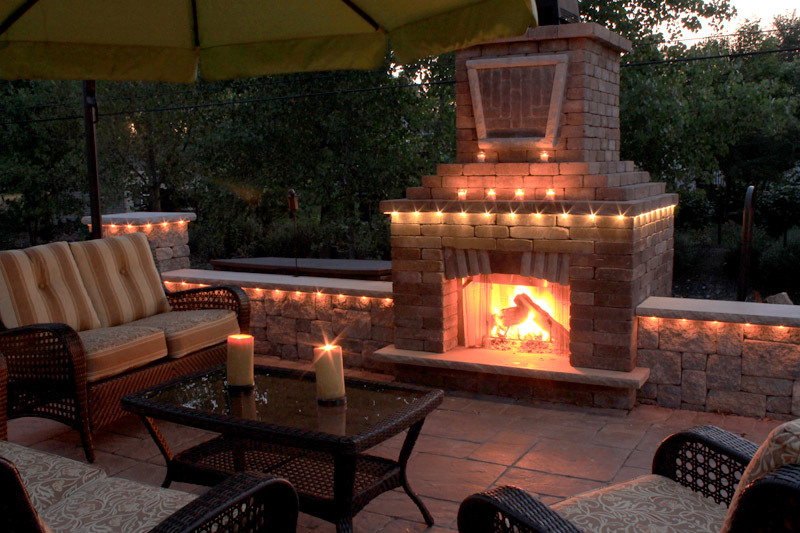 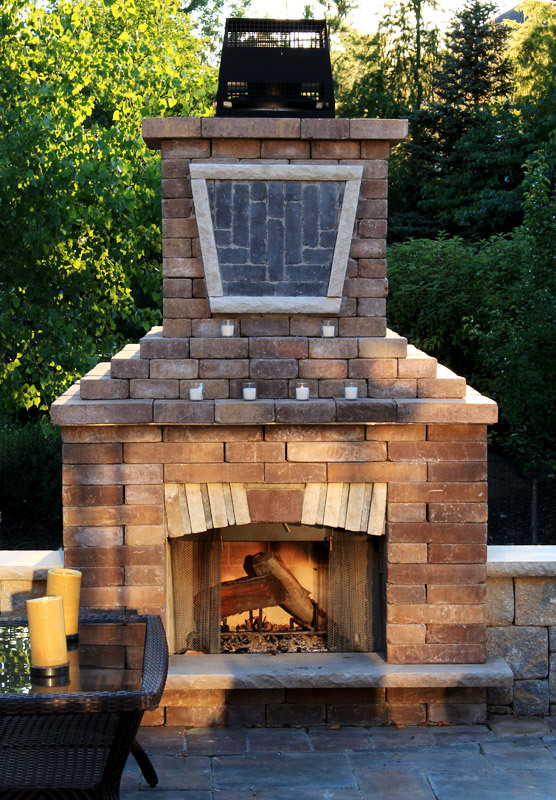 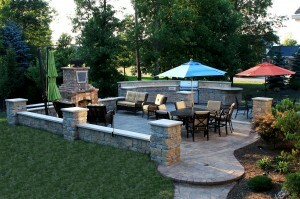 Concrete paver patio and seating area with outdoor fire place. 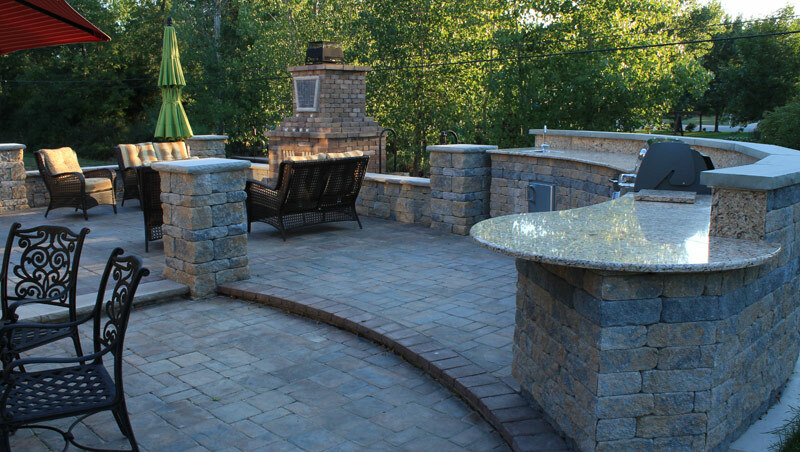 This multi-phase project included building a multi-level terrace, seating walls, pillars, custom wood burning fireplace, outdoor kitchen and grill area, as well as landscape accents to turn this previously unused piece of the client’s backyard into an outdoor living area. 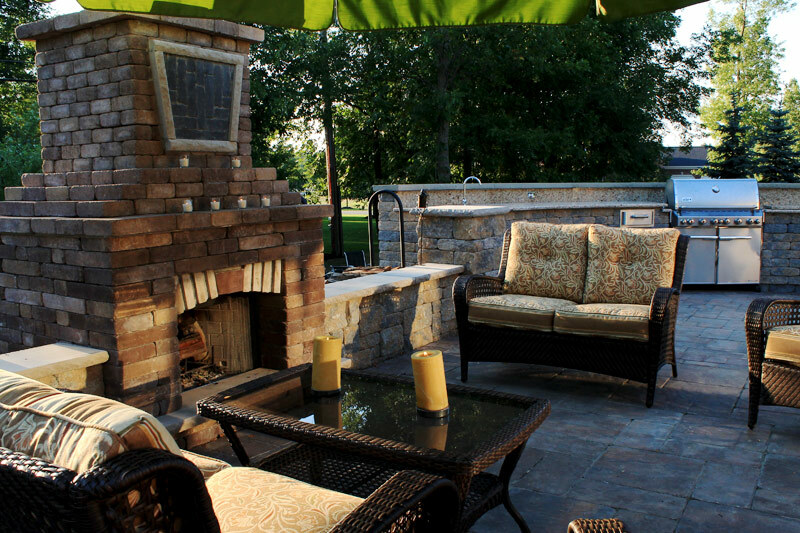 The patio and seating area accommodates guests as they enjoy the fireplace, while the homeowners can prepare meals in the large outdoor kitchen.